YouTube recently announced the implementation of mobile end screens, finally embracing what publishers have known for some time: more than half of YouTube traffic is mobile, and ignoring that meant losing time on site and subscribers. Companies no longer have the luxury of riding the organic engagement train. Experienced digital marketers have known for some time that a good paid+earned+owned strategy (PEO) is the best way to diversify your messaging in social. Facebook's implementation of ad blocker blocking technology on its web properties may have consequences not yet fully understood. I was fortunate enough to be asked to do a Q&A in eMarketer on influencer marketing. Read the entire article here. 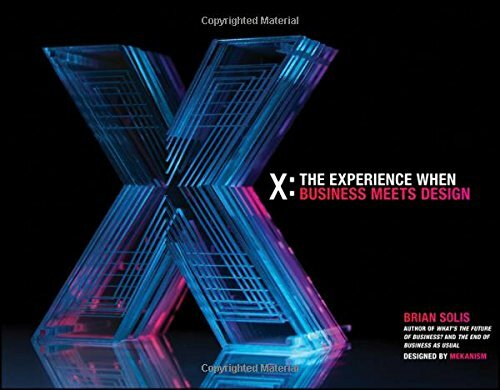 I'll admit, I haven't read my (ahem, signed copy of) Brian Solis's X: The Experience when Business Meets Design from cover-to-cover, but I have enjoyed Solis's keynote addresses in person on numerous conferences such as CES, SXSW and iMedia Brand Summit.